Candles need not be old-fashioned and boring. 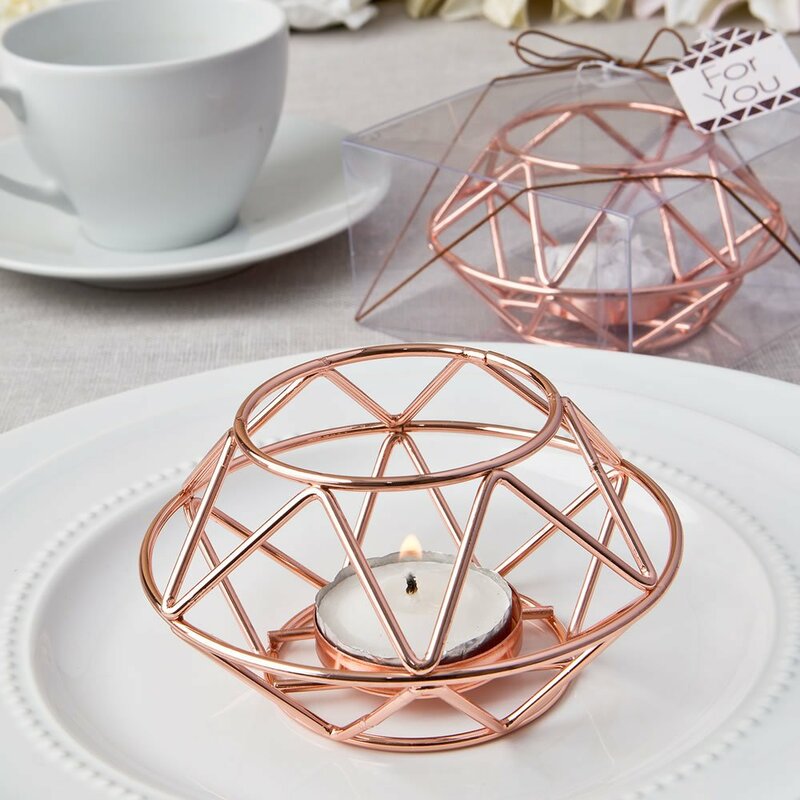 These modern on-trend candle holders with a geometric design will give you the wow-factor you want! The holders are made of all metal with a rich rose gold plated finish. The base has a solid metal bottom cup for placement of a tea-light candle or votive. There is an open top for ventilation. The holder features a trendy geometric design of circles and triangles, ideal for any modern day event. A white tea-light candle is included. An on trend and modern idea to light up your event tables and offer as favors to your guests!